As I mentioned yesterday, our friends left in the morning to head back to Denver and catch their flight while we were in no rush. Our flight wasn't until that evening so we had the day to explore. After packing up and checking out of our condo we drove through Keystone, another neighboring ski resort and then started heading to Denver. Along the way we made a pit stop for lunch in Idaho Springs, Colorado. We ate at a Brewery/Restaurant called TommyKnocker and it was really good. The main street downtown area of Idaho Springs was really cute with lots of little shops and restaurants. Then we continued on to Denver and stopped at Dinosaur Ridge. I wasn't really sure what to expect, but it ended up being a super neat experience. 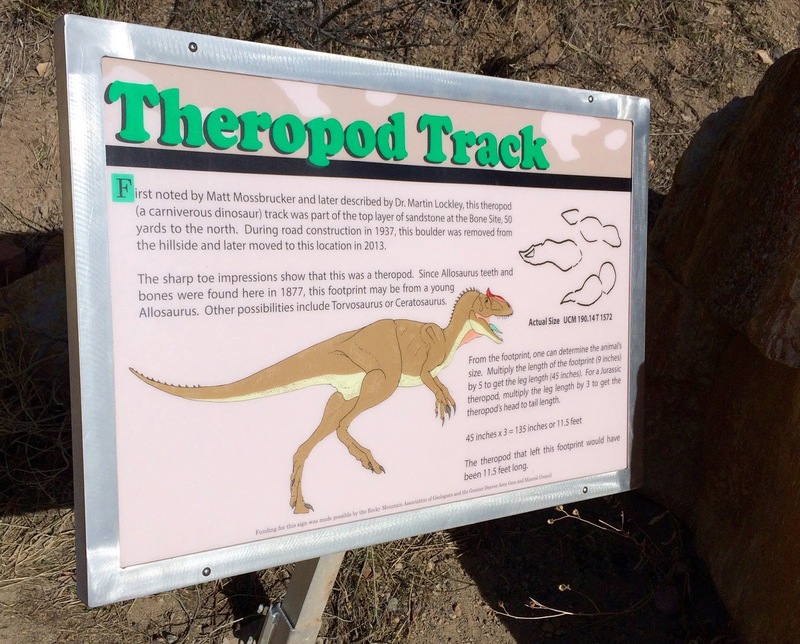 It's one of the world's most famous dinosaur fossil locations. 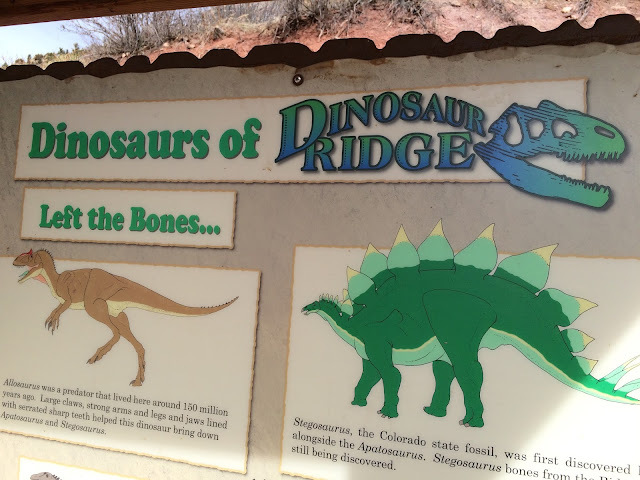 You can take a guided tour or just park you car and walk along the trail to see different signs and information telling about the dinosaurs that once lived in this area. 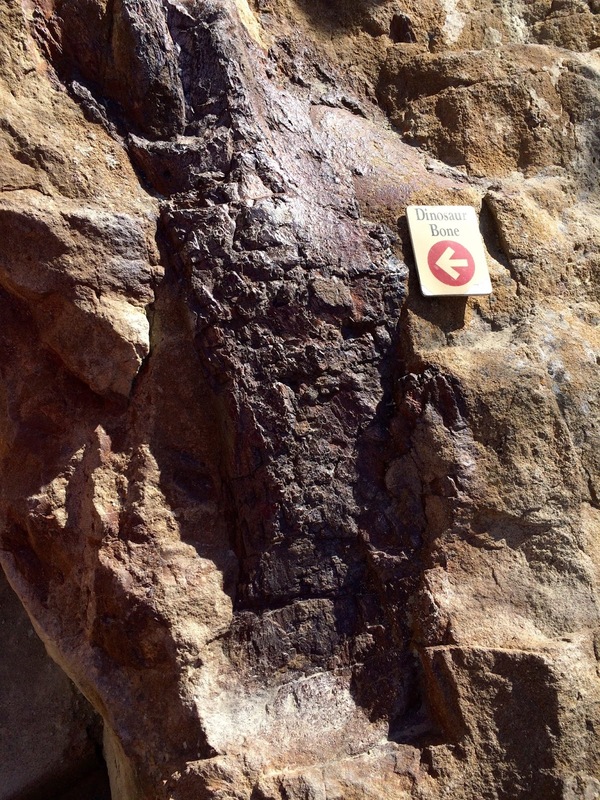 See that red arrow pointing to what looks like the darker area of the rock. That is a real dinosaur bone! 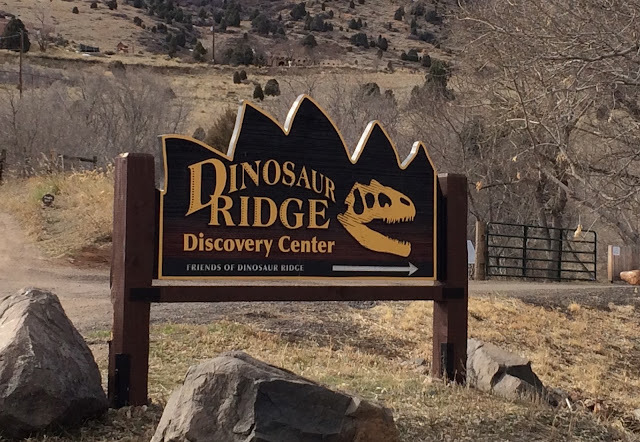 There were many successful excavations at Dinosaur Ridge that stocked many of the world's museums, but some traces are still there and just anyone can go touch them and learn about the history. 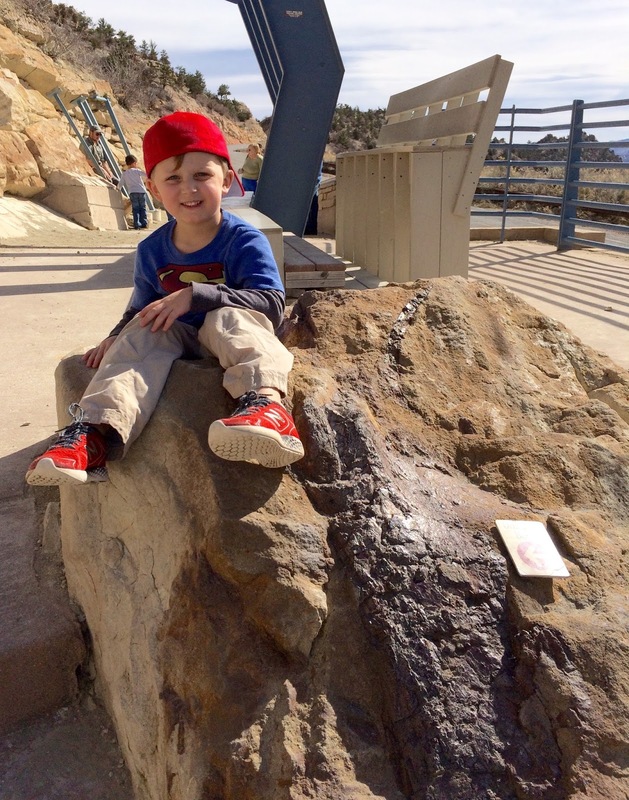 My little buddy was loving it and wanted his picture taken with every fossil we saw! There were also tracks that were discovered in this area that had become stone and rock so we also got to see those. The track has been painted a darker brown color to help average Joe's, like us, actually see what we are looking for. 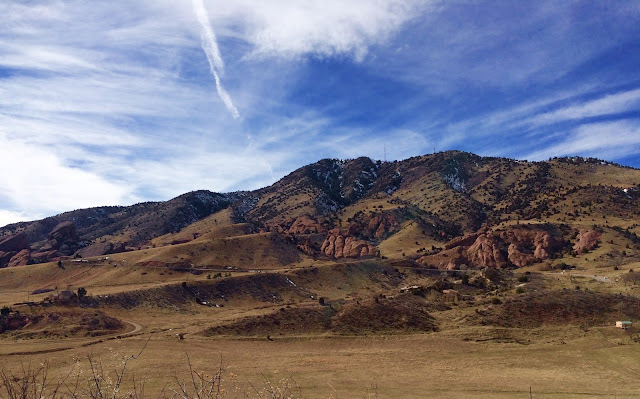 There are trails for walking and biking in this area and the views are just gorgeous. It was a really warm day, so we could not have asked for better weather to explore some of the sights. Literally across the street from Dinosaur Ridge is Red Rocks Park and Amphitheater. 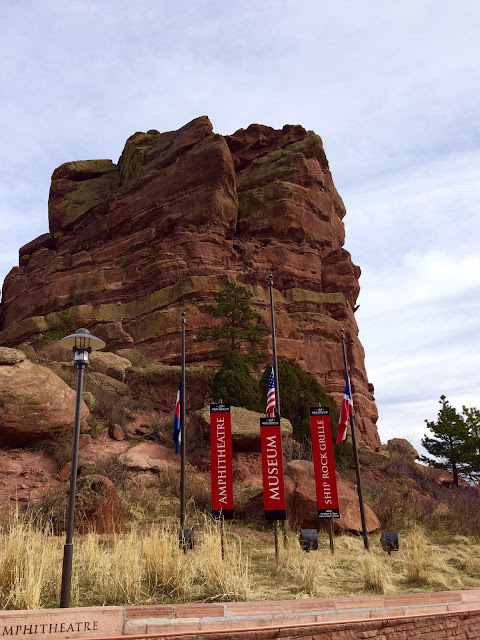 These giant rock formations are red in color, hence the name. They are HUGE and so beautiful. It is so amazing to see from afar, but even more amazing to see up close. 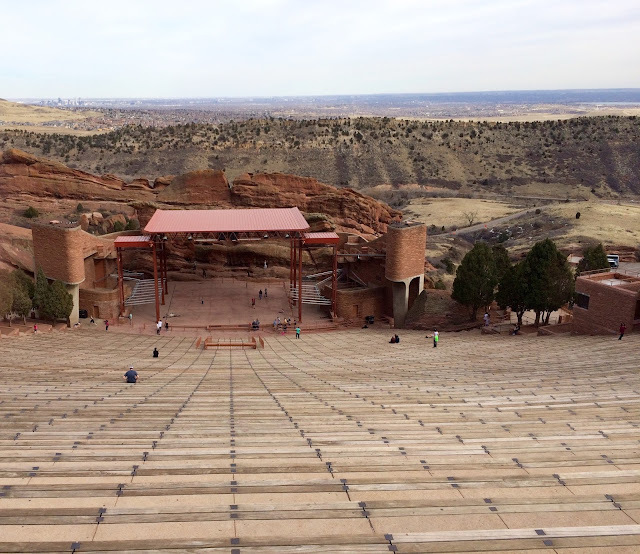 This area is a park, but also has a museum and an amphitheater were concerts and shows are played. 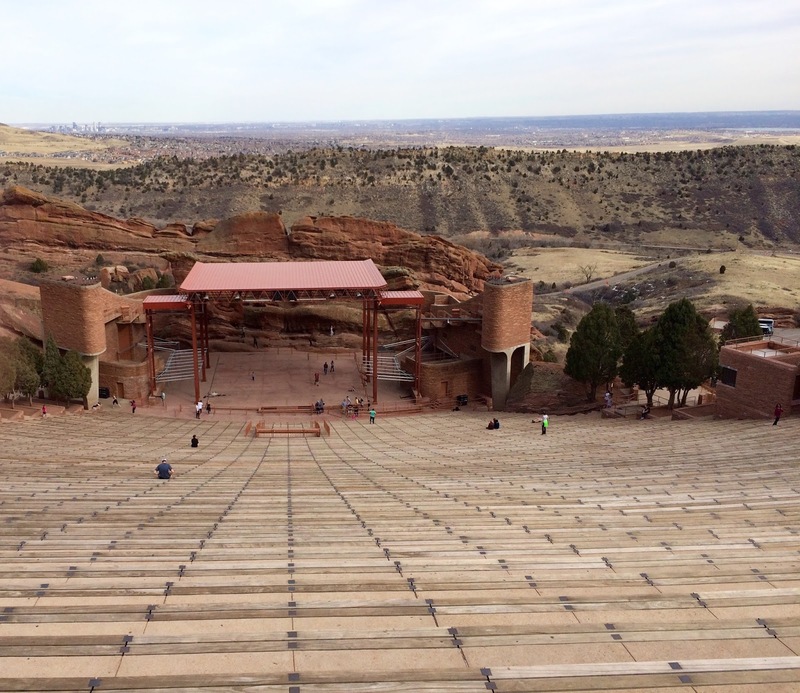 I can't imagine how cool it would be to attend a concert here! On this day there were tons of people just taking in the views, exercising up and down the steps, or sightseeing like us. 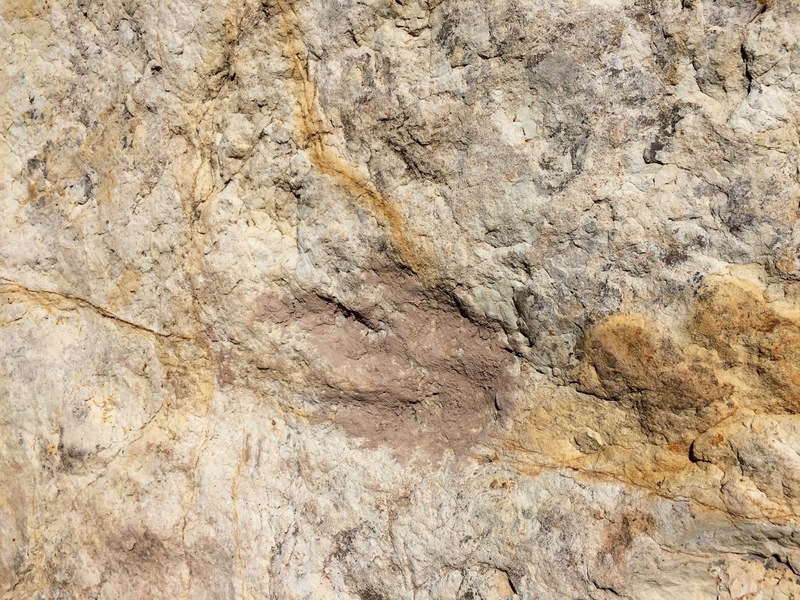 Although these next two pictures look like the same rock, they are different. There are so many of these huge rock formations and each is unique. 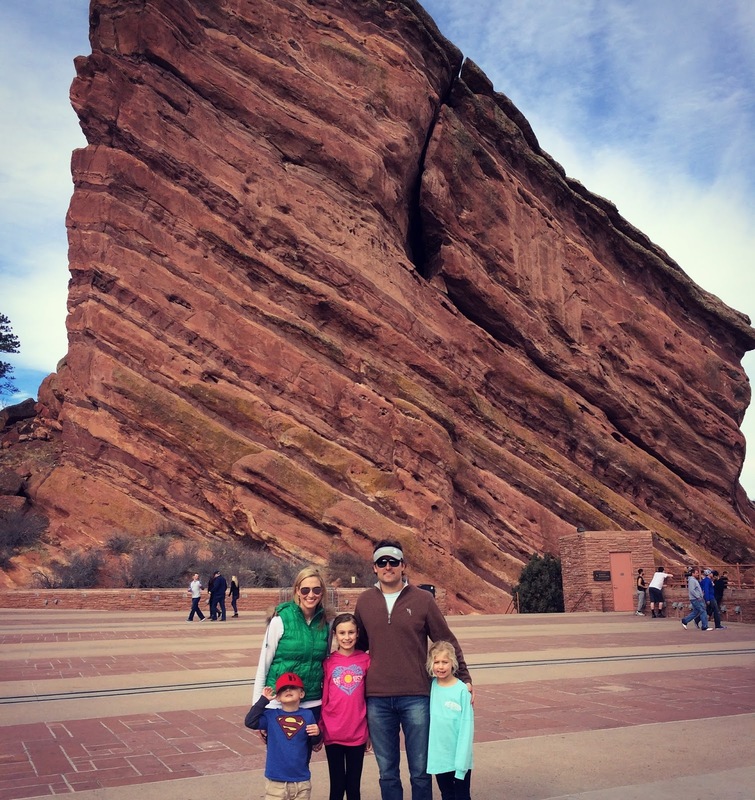 It was a great way to spend our afternoon and kill some time before heading to the airport. I would definitely recommend stopping by these two spots if you are ever in Denver and have a little extra time. After this we made our way to the airport, returned our rental car and started the whole airport process. The lines for security were super long, but thankfully a nice gentleman was directing families with kids to head to a special line that was much shorter, so we were thankful for that. We got the gate to learn our flight had been delayed for a few hours. By this point we were all tired and ready to get home, but the kids watched a movie on the iPad, I read my book, and we all just relaxed. By the time we got back to Atlanta it was after 1 AM and we were all beat. There were a few tears at different tines by the kids, but they were troopers and considering what a long day it had been, they did awesome. We finally got home just after 2 AM and all crashed. After such a fun trip, it felt good to be home and sleeping in our own beds. 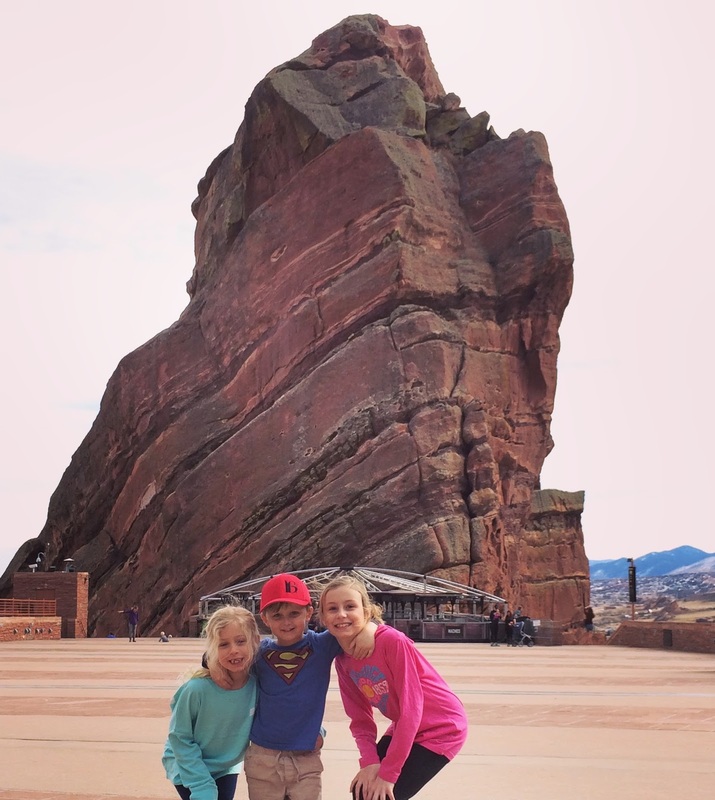 We're already talking about our next ski trip though and loved all of the memories we made!